LARGEST PEN in the 2xx SERIES !!! COMMENTS: Montblanc 216 in black and gold trim. 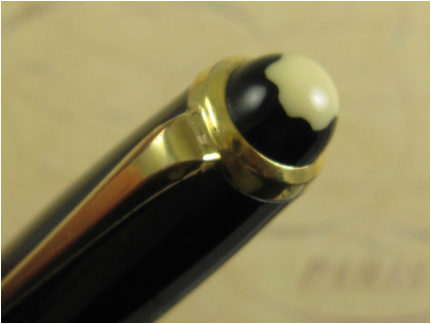 Made at the Montblanc manufacturing plant in Denmark in the 1950s. This is an oversized pen and the largest made model in the 2xx series. A highly collectable pen, especially in this condition. Fitted with a 14ct Montblanc medium flex nib that writes a fine to broad line (border line with a double broad). Professionally adjusted nib, ultra smooth and capable of writing at any speed when not flexed. Push button filing mechanism with a sac inside the barrel. The clip has some very little tarnish. 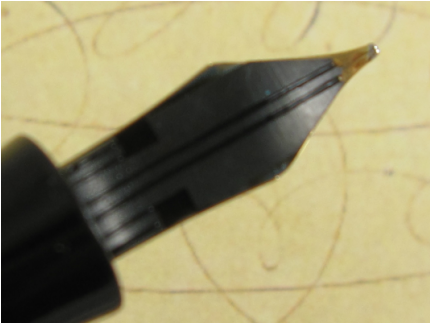 Nib has little imperfections on its left tine (tiny marks). Otherwise, this is an extremely clean pen. Made in Denmark in the 1950s. COMMENTS: Montblanc 342 demonstrator with translucid barrel, amber in color, and black cap and piston knob. Gold trim. 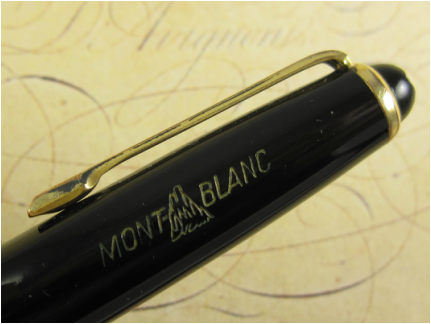 Being a demonstrator makes it a very rare and highly collectable vintage Montblanc pen. Fitted with a steel Montblanc Oblique nib. This nib has a tad of springiness and small wear marks, mainly towards the tip in the left tine. Otherwise, this a gorgeous pen and awesome condition. Piston filling mechanism. Made in Germany in the 1950s. 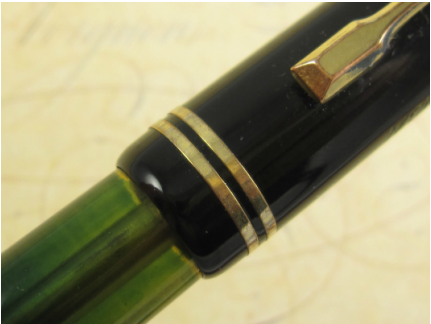 COMMENTS: Montblanc 244G Demonstrator fountain pen in black celluloid, and gold trim. Most of the barrel is translucid, amber in color, allowing to see the ink levels inside the pen. 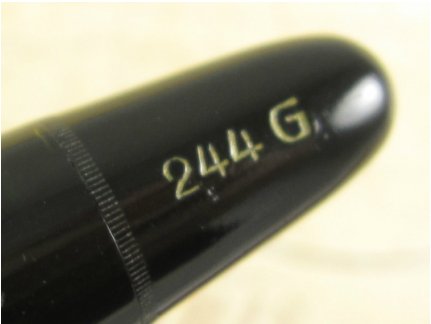 The 244G model is the second largest in the 2xx model series. 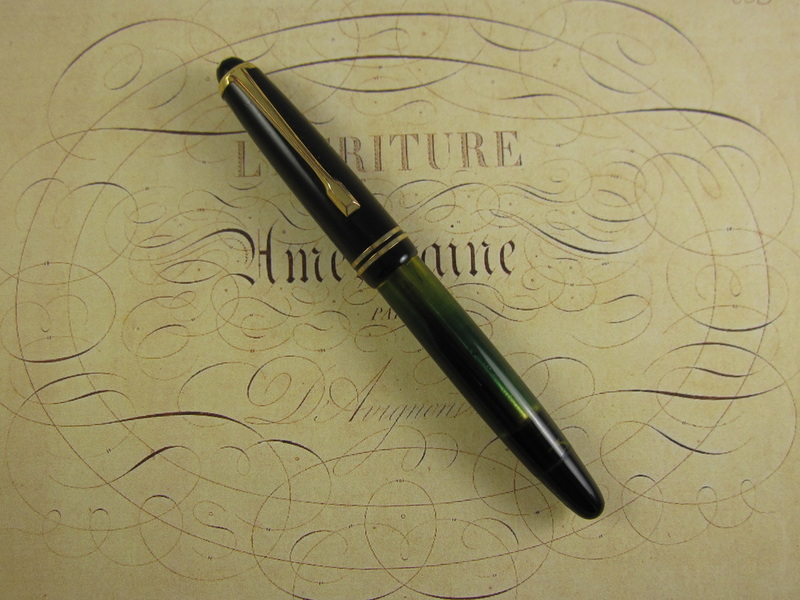 Ultra rare and a highly collectable vintage Montblanc pen, mostly because of being a larger sized demonstrator. Fitted with a 14ct Montblanc medium flex nib that writes a broad to double broad line. Professionally adjusted nib, ultra smooth and capable of writing at any speed when not flexed. 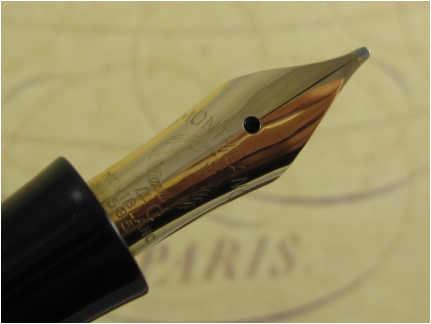 The tipping in this nib is very rounded, making it an ideal nib for someone who writes fast all the time, to an over writer or to someone new to flex writing. Great exterior color, barrel imprints and trim condition. Its only flaw is light ink staining inside the clear barrel. Otherwise, this pen is in outstanding condition. Piston filler mechanism. New seals and fully operational. Made in Germany in the 1950s.